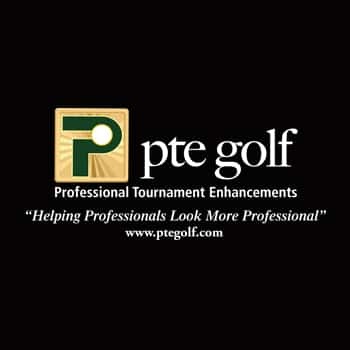 PTE Golf provides custom items for the tournament director looking to enhance the look of their tournament. We sell originally designed, high quality, tournament products that are used across the globe. Some products include Embroidered Table Covers, Logoed Ice Chests and Buckets, Tournament Cases for the Starter Area, and much more. Our enhancement products help both the club in appearance, along with the golf professional, allowing him or her to present themselves as more professional to their members. PTE Golf is the official tournament supply sponsor for the Caddy For A Cure program. Please CLICK HERE to visit PTE Golf.